Some people might look back at their childhoods and reminisce about their favourite series of books. It might be the Harry Potter series, or the works of J.R.R. Tolkien. For me, it was the 13-book long A Series of Unfortunate Events by Lemony Snicket. For those who haven’t read them, that name might still ring a bell from the 2004 movie adaptation of the first three books of the series. I personally like to pretend that film never happened. However, after 13 years of wishful thinking, Netflix announced it would be making a second adaptation of A Series of Unfortunate Events. And after months of waiting, the first season finally aired last Friday which, by coincidence, happened to be the 13th. For those unfamiliar with the series, the story follows the misadventures of three orphan children: Violet, Klaus, and Sunny, as they get passed from guardian to guardian after their first one (Count Olaf, introduced in the very first book) turns out to be a terrible villain determined to acquire their large inheritance and potentially dispose of them. The first season is made up of eight one-hour episodes and covers books one to four. Assuming the show is to continue until the last book, and the same format is upheld, there should be three or four seasons (fingers crossed). Author Daniel Handler (or Lemony Snicket, as he prefers to be called) is directly involved in the show’s production, which is probably for the best. Keeping all that in mind, I began my binge. Just from the intro of the first episode, I could tell the show had a lot of promise truer than the last adaptation. Bleak, gothic elements that gave the books their dark comedic style became apparent within the first few minutes. And once the first scene opened with the man who introduces himself as Lemony Snicket and the narrator of the rest of series, I was hooked. My initial opinion after watching the first season was that it was indeed very accurate in terms of the books. Storylines, writing, character depictions, and set design were all practically spot on. And while its pacing could at times be a little off or inconsistent, it had the overall feel of a Wes Anderson film: symmetrical shots, quick cuts, and fast-paced conversations were all present throughout the series. The cast (with the exception of a few) is great at capturing their characters, especially Neil Patrick Harris in his performance as the main antagonist Count Olaf. That said, there were also a few things that slightly turned me off. Anytime any CGI was used (and yes, relatively frequently), it looked so unrealistic it hurt. A lot of the time, those scenes did nothing to push the plot forward, like when Sunny is shown to play poker. There were also several cringeworthy moments, mostly the few times anyone broke into song. A few characters were also just a pain to watch, even if you haven’t read the books. Alfre Woodard as Aunt Josephine was probably the most prominent example; her anxiety over everything came out as too erratic and not very convincing, very unlike her book character, who is very timid as well as nervous. Sunny was also annoying to watch, not because of the baby, but because of the neon green text that the creators had chosen for the subtitles that would appear on-screen when translating her shrieks. 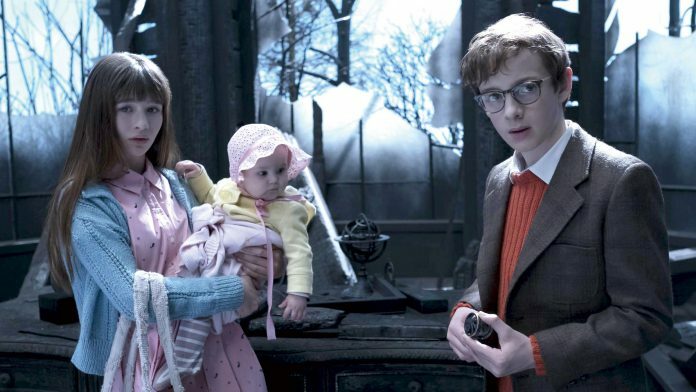 One of the major issues with A Series of Unfortunate Events, though, is the confusion that might strike any viewers who are new to the Snicket universe. The show made several plot lines obviously far before they should have been, and with far less information than required. To anyone who hadn’t read the books, the conversations between Gustav and Jacquelyn as well as all the codes and messages that cropped up in the episodes make no sense, and the revelation of the couples identity that appear at the end of the first episode simply creates even more confusion, rather than an a-ha! moment. To anyone (aside from the book readers) who is a fan of clever, dark comedy, the gothic, steampunk aesthetic, or Neil Patrick Harris, this show is really worth a watch. Pacing and characters take a little getting used to but if you stick with it through to the end you probably won’t regret it.